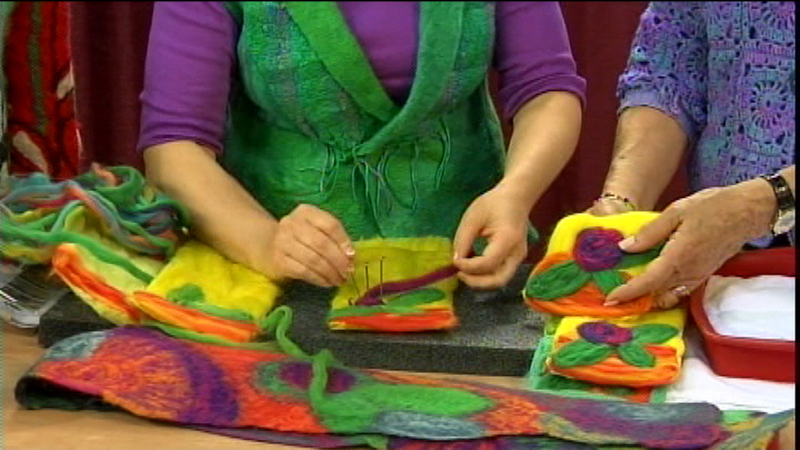 Unleash your inner geek with this episode of Knitting Daily TV. You will have fun with both old-school and contemporary fiber technology. Eunny gets started with the tried and true: winding a ball of yarn of yarn on a thumb or nostepinne, using a niddy noddy, and using long DPNs instead of a circular knitting needle. 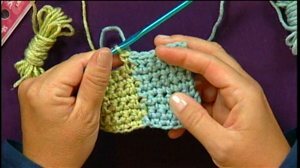 Download tips and tricks to better knitting. Shay meets Karin Skacel Haack from Skacel Collection, Inc.on location and walks us step-by-step through the art felting technique with a fun cell phone or camera case project. 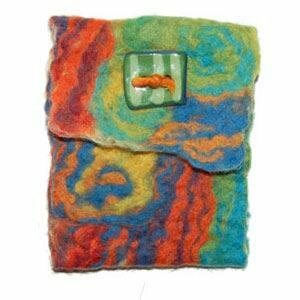 Download a pattern for a felted camera case. Kristin Omdahl demonstrates how to join in new yarns and change colors while crocheting. Download the pattern for Winter Crochet Wristlets from Coats and Clark. Lily Chin is back to introduce fiber techies to the ultimate gadget – the knitting machine. There are many different types and you will get to see how they work. 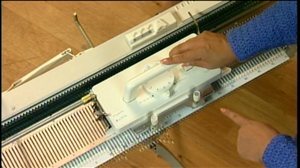 For more information on knitting machines, visit BT Yarns and Knitcraft. Crazy for Cast-Ons (Part 1): The Old Norwegian and Some "Tail Tips"